The headend is the heart of the cable plant, the nerve center; everything in the headend has to be perfect and well shielded to ensure good quality of service to the entire network it serves, which brings service to every single subscriber. 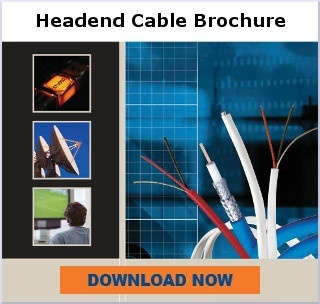 PPC/Belden cabling for headends is designed for excellence in U.S. manufacturing, best in class and redundant quality control/checks, superior performance, and has a long history of excellence in headends around the world. All cables are available in a multitude of colors. Custom bundles, custom lengths available. Quadshield performance for your headend with coax preparation and installation ease similar to Tri-shield. 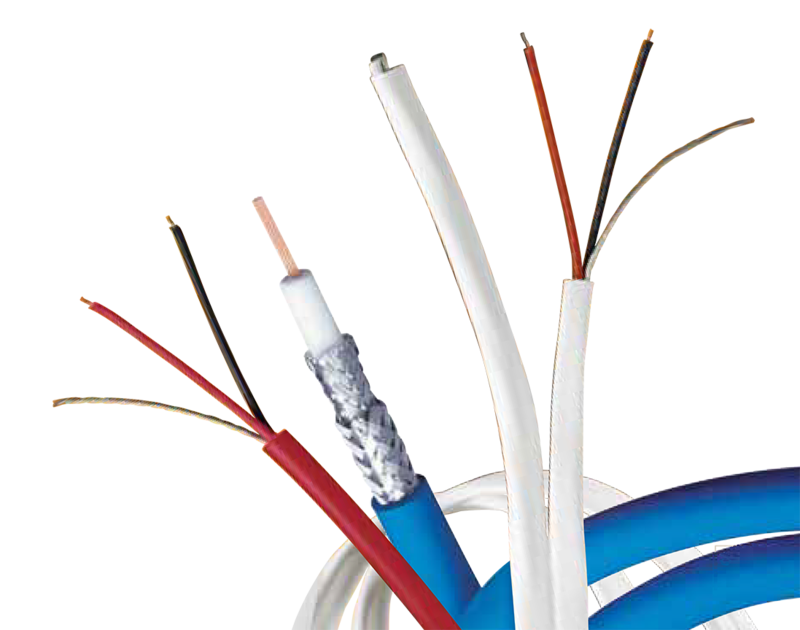 20 AWG solid .032" silver-plated, copper-covered steel conductor, gas-injected foam polyethylene insulation, Duobond Plus® + aluminum braid shield (95% coverage), PVC jacket (available in 13 colors). 23 AWG solid bare copper conductors, a 100% bonded foil shield and 95% tinned copper braid shield. The small O.D. enables a 1.5” bend radius. 23 AWG solid bare copper conductors, a 100% bonded foil shield and 95% tinned copper braid shield. The small O.D. enables a 1.5” bend radius, dual tp 16 packs. 20 AWG solid .032" silver-plated, copper-covered steel conductor, gas-injected foam polyethylene insulation .144", Duobond + aluminum braid shield (95% coverage), PVC jacket (available in 11 colors). Mini RG59 Quad Shield 100% bonded foil, 95% inner braid, 100% foil and 90% outer braid configuration. The conductor is solid 23 AWG copper.